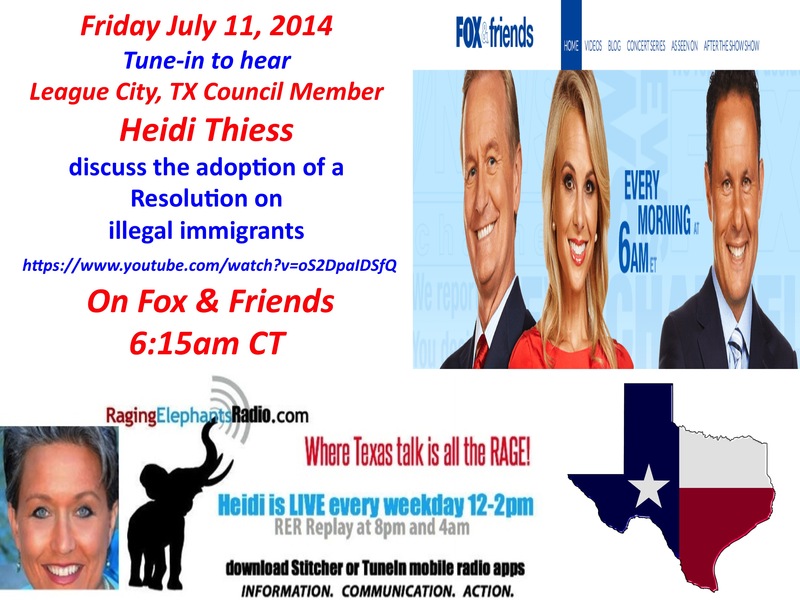 ← Heidi Thiess on Fox & Friends Friday, July 11, 2014 to discuss illegal immigration resolution! This entry was posted in Border Security, Heidi Thiess. Bookmark the permalink.